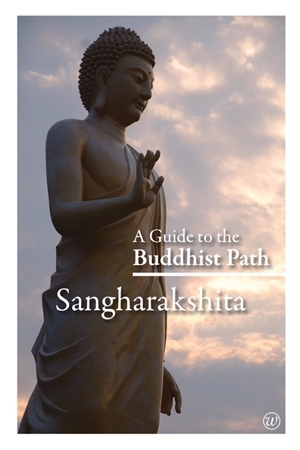 In A Guide to the Buddhist Path, Sangharakshita sorts out fact from myth and theory from practice to reveal the principal ideals and teachings of Buddhism. The Buddhist tradition, with its numerous schools and teachings, can understandably feel daunting. Which teachings really matter? How can one begin to practise Buddhism in a systematic way? This can be confusing territory. Without a guide one can easily get dispirited or lost. Profoundly experienced in Buddhist practice, intimately familiar with its main schools, and founder of the Triratna Buddhist Community, an international movement, Sangharakshita is the ideal guide. In this highly readable anthology he sorts out fact from myth and theory from practice to reveal the principal ideals and teachings of Buddhism. The result is a reliable and far-reaching guide to this inspiring path.